Most women in Hollywood are looked up to as glamorous and rich figures with perfect lives and almost no issues do deal with. They are in every movie and always have as powerful role to play. However, that is not true. At least one famous actress, Keira Knightley, spoke out on the issue of how there is too many male actors and enough enough female actresses in Hollywood. 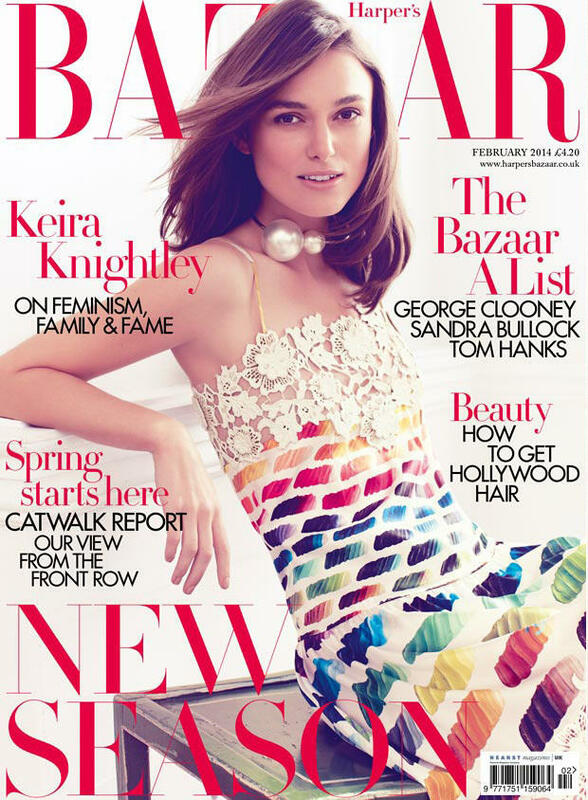 Knightley gave her insight on this in an interview with Harper’s Bazaaar UK magazine. The highlights of the interview were provided in an article from the Los Angeles Times titled, “Keira Knightley sounds off on feminism and women in Hollywood.” According to Knightley, she finds that her opinion does not seem to matter when men are dominating the room. She told the magazine, “Hollywood has a really long way to go. I don’t think that anybody can deny that, really, and I think as much as you are getting more women playing lead roles… they’re still pretty few and far between,” she said.” Knightley’s interview demonstrates how although women are taking on the same roles as men, they still are not taken as seriously and there are not enough women in the acting field. She also mentions her view on feminism when she told the magazine, “Somehow, it [feminism] became a dirty word. I thought it was really weird for a long time, and I think it’s great that we’re coming out of that.” Feminists have come a long way throughout history, but are stereotyped as being a certain way, such as too tough or stubborn. However, Knightley is an example of a positive feminist. She is a well-known actress who has looks and talent to allow her a long-standing career in Hollywood. Knightley is also not afraid to speak her mind. It’s great when celebrities take a stand on feminism and use their position to speak out about it- reminds us of the fact that despite their fame and power(?) they also face the same issues as the rest of us.